Digital is taking a big part in the roofing industry to reach consumers. With limited labor to choose from, the demand is high and the competition is stiff. Here are some common areas we see roofers lose out to their competition when customers are looking for help. Your customers trust reviews. In fact, 88% of your customers read reviews to determine if they should even pick up the phone to call you. Not only do they read the reviews you have, they are looking for a mass quantity of them. Why? Because the bigger sample size you have, the less skewed the data will be. We’re all turning into statisticians, with 85% of consumers saying they read up to 10 reviews and 7% reading 20+! A roof is a big ticket item; they want to be sure they get it right the first time. To make matters worse on this front, you might have had some reviews and they recently went missing! This is because Google rolled out a review change that removed all anonymous reviews from your Google Business Listing. Just when you thought you were making progress! The number of reviews you have AND your average review score are both ranking factors within Google’s local search results. If you lost a large portion of them in this last Google update, you probably lost ranking to your competitors. A side note: If all your anonymous reviews were negative, because of a scheming competitor, you should be rejoicing that they’re gone and working to get better ones. Roofing contractors who take the quality of their work seriously should have no problem following up with customers on their experience and providing them with an opportunity to leave a review. For most of you, you’re probably thinking, “This one I’ve got in the bag. My website shows up on a cell phone!” Great, but does it actually help customers convert well? We frequently see roofers that have a great basis for a mobile-friendly website, but they’re seeing a high bounce rate. This could be due to the fact that the layout of your mobile site isn’t optimized for customer actions. The menu might be difficult to navigate, there may be too many elements too close together, or the load speed is so slow your customers lose interest. Statista reported in 2018 that 51.2% of global internet usage is coming from a mobile device. Reviewing your website’s user experience on a mobile device can seriously move your users down the conversion funnel at a faster pace. We recommend doing an audit on your mobile website layout annually to ensure it is helping your customers successfully reach you. You might have just built an amazing website, and this is wonderful. BUT if you never touch it once you build it, your competitors will start passing you up in search results. Search engine optimization is incredibly important in helping your customers find you, and it’s an ongoing effort. Most roofers don’t take the time to understand the total financial impact of hurting your future ability to be found online. 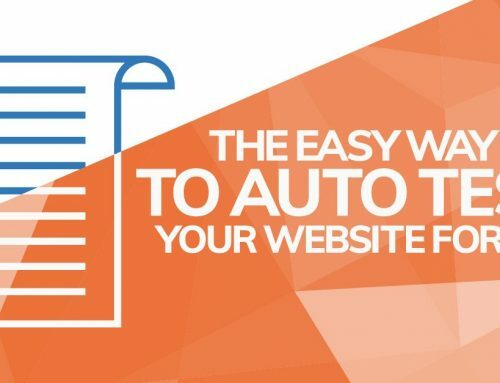 If your website isn’t a source for gaining leads for your business right now, you will find that other channels for gaining leads can cost hundreds of dollars more each month. Which leads us to our next point. We cannot verbally express how crucial this is, and yet 44% of small business owners say they are not tracking ROI for their business. We wish you could feel the anguish in our hearts at this statistic! Track it all, where your money is going and where your leads are coming in. A lot of roofers start out paying a company to give them leads. This usually works great for about 3-6 months, then the leads turn to less and less quality. Some channels don’t even give you quality leads from the beginning. The sad part is, many roofers keep paying for them for way too long because they don’t take the time to review the numbers! Every marketing channel you choose to spend money with should also be an investment in building your business for the future and should be tracked. Be strategic and know what you want to achieve in the most detail possible. Don’t just try to make a quick buck. Paying for leads today isn’t really going to help your overall digital standing in the coming months and years. Building reviews, improving your website, etc. is an investment that keeps paying it forward. Our advice is to track your channels of marketing spend and do the math. How much is it costing you to get each lead over the course of 6 months? We can guarantee that having a high-ranking website for your roofing company it going to be cheaper per lead than any other source, but this is a LONG TERM investment. Have you ever gotten to know a food hoarder or a doomsday prepper? Usually, someone keeps an excessive amount of food for themselves, and years from now you look in disgust as all of it has gone bad and no one really used most of it. Don’t get us wrong, there are certain preservatives that will survive an atomic bomb, but not so with the average item. Sometimes roofers can get into a hoarding mentality where they would rather be happy with the security of knowing there will be work for the months ahead. You keep everyone employed and are not worried about getting your work done faster because that would mean you would need to hire more people. Which, if you hit a slow season, you might have to lay people off! This is the financial crisis mentality that many of us slipped into after we saw the industry get very lean. Here’s the problem with this strategy. If you can’t take on more work, someone else will. At least 50% of the customers you tell need to wait till you’re available next year are calling another roofing company. Growth should be something you strive for. Getting your team to the next level makes more jobs and gives you more money. If you have a strong, consistent marketing strategy, you won’t have to worry about major dips in business. The leads will be steady and keep you moving forward. Plus, there’s a labor shortage! Whoever works on building a big team now won’t be sorry when there’s no one left to hire. If you only water your garden when you see the plants starting to die, your fruit will never grow to the size it could have been if you’d simply watered consistently. If you only start to push your marketing efforts when you feel you’re floundering, you will always come back to a floundering state at some point. This is a vicious cycle that inhibits your business from growing. Actually taking the time to market your business on a consistent basis will allow you to not get overtaken by a competitor who chooses to take marketing seriously. This is something we are starting to see more and more within the roofing industry. We’ve seen small roofing businesses start up, and overtake the biggest local roofing companies in their area within as little as 3 years of consistently taking their marketing seriously. Don’t believe us? We’d love to put you in touch with some of our clients. You’ve plateaued on referrals, and you’re wondering why it’s so hard for people to recommend you anymore. Referring is work, and people love to be able to send helpful information to their friends quickly. Where do they do that? Social media. In 2017, the United States spent 21% of its mobile time on social media. Do you realize that means for every hour on our phones, we spend 12.6 minutes of it on social networks? If this is where our referring customers live, why are we not utilizing this more to our advantage? Especially within the roofing industry, we have seen Facebook become more and more of a traffic referral channel for getting customers. People want an easy way to share information with friends. Providing a way for them to see your business socially will increase the likelihood that they will pass your information on. Not to mention the fact that you’ll find new customers on social media too! We will note, however, that social media must be done well to be effective. You can’t just throw up a bunch of coupons and specials on roofing to make people get excited. People see right through fake attempts at being authentic. Image quality, videos, and crafting content to meet your target audience is huge. If you keep posting and nothing is happening, you’re probably not doing it right. Social media is an art. A good place to start is asking a few of your customers what they are interested in. Once you know that, find ways to create content that answers their questions and helps them solve problems. Quite honestly, every single one of these problems above can stem from this last problem. Yes, we all do it in some way. Yes, it’s a pain to find the right kind of help, but it can save you so much time and money. We can tell you right now that seeking help can pay for itself. As a Business Insights Manager, I know the Small Business Administration says you should be setting aside 6-8% of your revenue to invest in marketing. The reality is, if you take the time to find the right marketing partner, you will find yourself spending way less in the long run. Don’t take my word for it—ask one of my clients. Our advice is to do it the right way and make sure you track your progress. You can never fully set and forget your marketing with any agency because there would be little to no accountability and they will never be able to do it all without your help. You know your business culture, and customers know when someone if faking it. Roofing contractors who knock it out of the park take their relationship with a marketing agency seriously and take time to make their monthly meetings. If you’re ready to explore the next steps in bringing your roofing business to the next level, we would love to talk with you about your business. For absolutely free! Seriously. There is no obligation there. We will be completely honest, however, so brace yourself for a fantastic relationship!